A decade after the collapse of Irish public finances in 2008 there is talk that the Celtic Tiger has arisen from the ashes and is on the prowl. After a remarkable recovery since 2014, will today’s management of the Irish economy once again wound the Celtic Tiger? Kim Bielenberg is a writer and journalist with a particular interest in political and social issues that affect today’s Irish society. He is seeing signs that the Irish economy is overheating and may end up in another recession. Rather than quote economic indicators indulge in economic jargon often found in the European Commission’s update on the state of health of member states economies, he identifies some realities that are there for everyone to see. Of course, the interpretation of the significance of these mundane events determines whether one feels concerned or optimistic about the future. One clear sign that the virtue of prudence is being thrown to the wind by many Irish people is the ballooning of private debt. Alan McQuaid, the chief economist with Merrion Capital, says: “We are still highly indebted and that leaves us vulnerable to any external shock. Politicians should be taking the punchbowl when the party gets started – but they are not doing so, because they see there may be an election soon”. The property craze that was the most critical factor that killed the first Celtic Tiger is back. Renting rates for private residences and also commercial properties is skyrocketing. The direct result of this is that today there are 10,000 homeless in Ireland and public protests by those caught in the poverty trap are erupting. An advert in the Irish media featured a landlord in Sutton trying to rent out a garden shed tacked on the side of a house for €700 per month. The property barons are back with a vengeance. The scoreboard at the recent Ireland versus All Blacks game was sponsored by Ballymore Properties, one of the more active Irish property developers. Another sign of excessive exuberance is the obsession of the better off to do their Christmas shopping in Manhattan maxing their credit cards in the process. Dublin airport has been buzzing with excess activity for most of this year as thousands of Irish people feel that they can afford to travel more often for holidays and entertainment. Traffic congestion is a sign of economic prosperity. 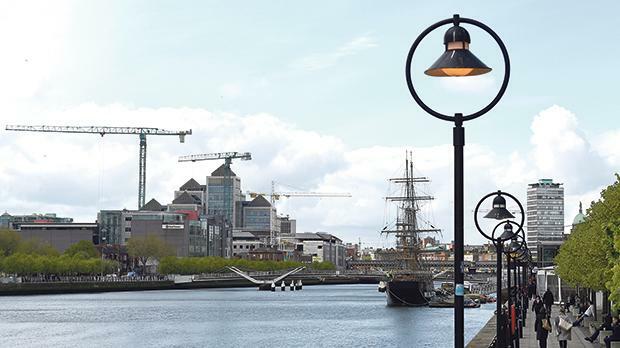 With the prices of property in Dublin escalating, many are buying property further from the capital even if they have to commute for an hour or two to get to their place of work. Those who remember the good old days of the first Celtic Tiger feel a sense of déjà vu when they are caught up in the gridlock that chokes traffic in Dublin today. Another mundane sign of an overheating economy is the amount of moneythat is spent on weddings. Celina Murphy, the deputy editor of a wedding website, says a typical Irish wedding today costs €30,000. “Many weddings go on for three days. There is a party on the evening before, and frequently a full party the day after. It is increasingly common for brides to have two dresses – one is spectacular for the ceremony, and the other is comfortable for the reception,” she says. It is also common for weddings to have two bands playing. They may also have ice-cream vans, crepe stations and wood-fired pizza stalls as well as the wedding banquets. According to Bielenberg, another worrying sign that not all is well with the impressive Irish annual economic growth that often exceeds five per cent is the attitude of Irish politicians to climate change and other ethical issues. Taoiseach Leo Varadkar admitted Ireland will miss EU carbon-emission reduction targets by 2020 and could face having to pay hundreds of millions of euros for credits. So the policy seems to be: “Never mind climate change – we will just pay the fines”. “Taking Ireland Forward Together” may be the reassuring slogan of Ireland’s ruling Fine Gael party, but reality often deflates political rhetoric when the prudent management of the economy is shunned.